With the benefit of hindsight, Ford’s Pinto was an interesting attempt at beating the Europeans and Japanese at their own game. What the Big 3, 4, or 5 considered “compacts” in the past were, by comparison to most imported cars, full-sized and often sported six-cylinder engines that, while fuel efficient compared to their V8 siblings, were by no means miserly with the dino-juice. And while Ford previously offered the Cortina as an economy option, the Pinto was their first North-American designed subcompact offering. And that’s as good a reason as any to feature a Pinto on July 8, Collector Car Appreciation Day, so let’s take a look at this 1973 Ford Pinto for sale for $2800 somewhere in the vicinity of Portland, OR. Some cars unambiguously epitomize their country of origin, often showing off what made the country great. Mercedes’ W123 sedans couldn’t be more German, a 1959 Cadillac couldn’t be more American, and a TVR couldn’t be more British. 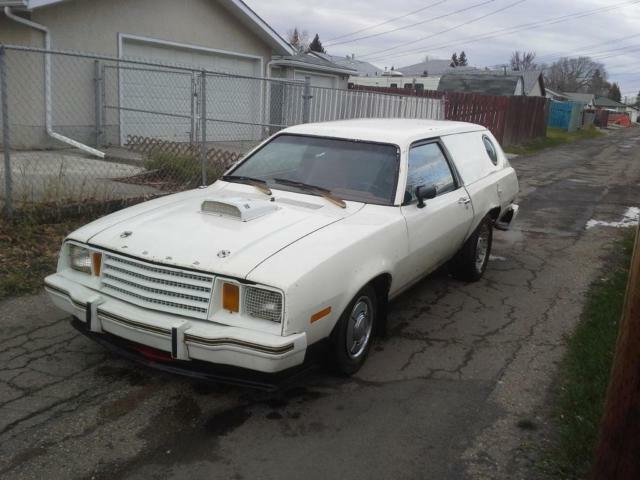 That kind of comparison isn’t always flattering, but it doesn’t mean you can’t love it all the same – check out this 1979 Ford Pinto Cruising Wagon for sale for C$1500 (currently US$1150) in Edmonton, AB. Thanks to reader 1977ChevyTruck for this submission.